Documents on the FCC web site have revealed an unannounced flip phone for Jitterbug. The Jitterbug Flip, as it is referred to in FCC documents, was manufactured by Alcatel OneTouch and includes two screens and a rather basic set of features. 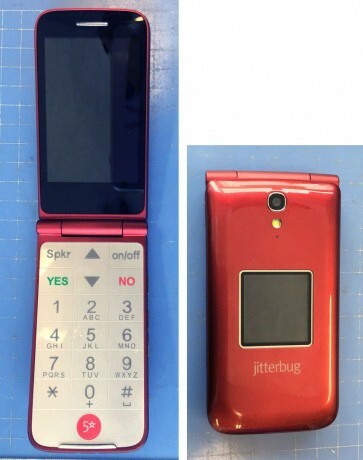 According to the FCC's paperwork, it has a camera with flash, and a dedicated flashlight button in addition to a hardware dial pad, speakerphone, USB connectivity, and Jitterbug's branded services, such as 5Star. The Alcatel OneTouch Flip has not been announced by either Jitterbug or Alcatel, and pricing/availability details are not yet available. LG Innotek today announced the Quick Wireless Charging Pad, a way for smartphone owners to rapidly charge their mobile devices. The Quick Wireless Charging Pad relies on the Wireless Power Consortium, or Qi, wireless charging spec and supplies 15 W of power.